The Walsh Ironman tournament held at Walsh Jesuit High School in Ohio is considered by many to be the nation’s toughest in-season tournament. Nationally ranked wrestlers are loaded throughout the brackets. It’s like an all-star meet, a who’s-who of the wrestling world, if you will. 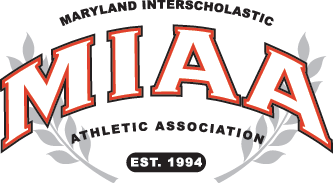 MIAA powers McDonogh and Mt. St. Joe took the pilgrimage west this weekend. St. Joe came up empty-handed, but McDonogh saw three wrestlers reach the podium. At 106, super freshman Richard Fedalen put his name on the high school map. After a decorated junior league career, this showing legitimizes Fedalen’s standing as a dangerous high school wrestler as well. In the fifth-place bout, Fedalen downed Evan Hollaway (New Kent, Virginia), 5-4, in the ultimate tie-breaker period. Defending private school state champion and National Prep runner-up, Cooper Flynn, a sophomore, won the seventh-place bout at 113lbs with a 5-2 decision of Colton Drousias (Mt. Carmel, Illinois). Jack Wimmer, a two-time state and National Prep placer, landed in the eighth spot at 195 after falling in a tight battle with Kolby Franklin (St. Joseph’s Academy, Pennsylvania), 3-2. Pictured above: Cooper Flynn, who placed seventh at 113, was one of three McDonogh wrestlers to bring home medals at the nation’s toughest tournament, the Walsh Ironman.